Penske Truck Leasing has partnered with TechForce Foundation on the latter’s FutureTech Success campaign, which supports the recruitment of new fleet-maintenance technicians. Besides financial support, Penske will play a role in marketing and advertising campaigns, which will include sharing content on Penske’s social media channels, according to a Nov. 27 press release. Penske also will sit on the FutureTech Success National Leadership Cabinet, participate in a video series and join the foundation in speaking events at schools. We’re investing in TechForce to help cultivate and build a pipeline of the next generation of truck fleet-maintenance technicians. The FutureTech Success campaign intends to raise awareness in school-age students about career opportunities as technicians. 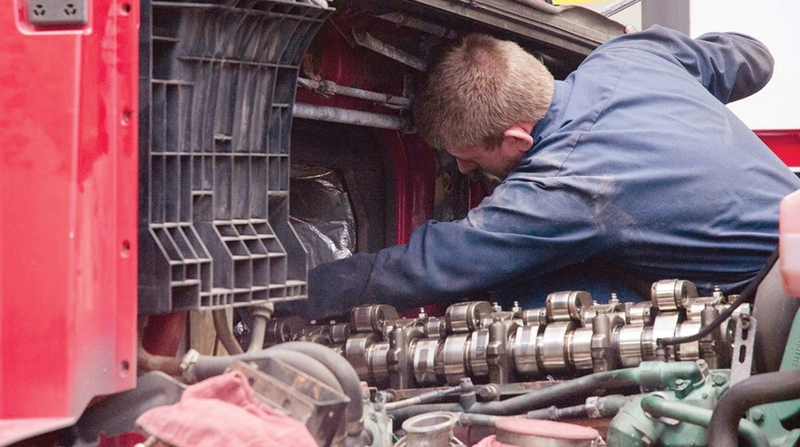 A recent TechForce assessment stated the trucking industry would need about 300,000 new technicians over the next decade to meet demand. “We’re investing in TechForce to help cultivate and build a pipeline of the next generation of truck fleet-maintenance technicians to meet our needs today and well into the future,” said Gregg Mangione, senior vice president of maintenance at Penske Truck Leasing. Penske operates a North American truck fleet of more than 298,000 vehicles and has a maintenance workforce of about 8,000. Product lines include full-service truck leasing, contract maintenance, commercial and consumer truck rentals, used truck sales, transportation and warehousing management and supply chain management solutions.